Metrowax Records Blog - Vinyl Record News and Tips for DJs and Collectors: Humongous Stacks of Delicious Wax! Humongous Stacks of Delicious Wax! Click to view a full size version of this photo. 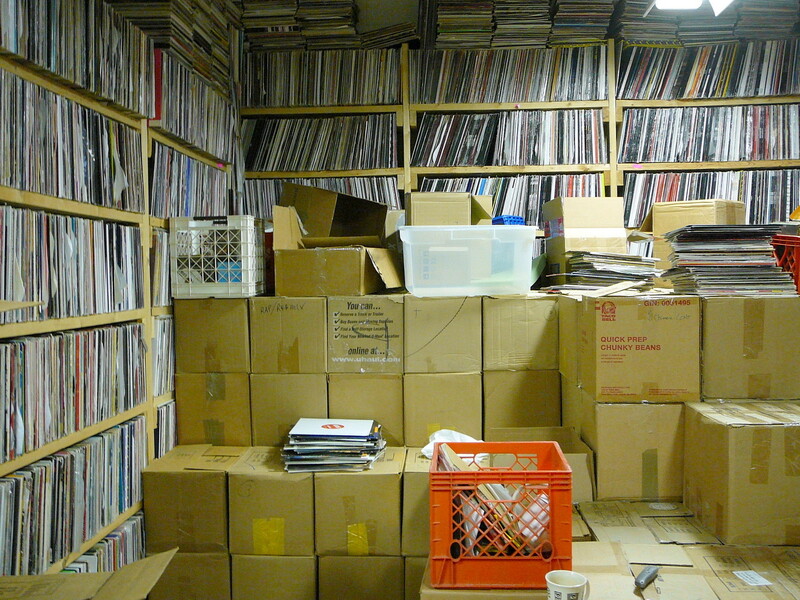 It's now 2012, and we've sorted through all of this stuff (except the 45s). It sure took a long time! Maybe we'll buy a slightly smaller collection next time - or not. Love the vibe of the site, would love to come dig through you records one day. Thanks! Digging all of these took years but is completed now.. on to the next collection!